Unless you are geographically located in a dozen or so countries in the world who have declared GMO (genetically modified organism) bans, then you’re likely eating GMO. It’s almost impossible to avoid all GMO foods, however educating yourself can make a big difference in the percentage of foods you purchase as a consumer. Soy – An estimated 93% is GM. Gene taken from bacteria (Agrobacterium sp. strain CP4) and inserted into soybeans to make them more resistant to herbicides. Corn – An estimated 86% is GM. There are two main varieties of GE corn. One has a Gene from the soil bacterium Bacillus thuringiensisinserted to produce the Bt toxin, which poisons Lepidoteran (moths and butterflies) pests. There are also several events which are resistant to various herbicide. Present in high fructose corn syrup and glucose/fructose which is prevalent in a wide variety of foods. Corn sold directly to the consumer at Roadside stands / markets. Buy organic corn, popcorn, corn chips only. Rapeseed/Canola – 100% is GM. Gene added/transferred to make crop more resistant to herbicide. Sugar beets – An estimated 95% is GM (99% in U.S). Gene added/transferred to make crop more resistant to Monsanto’s Roundup herbicide. Cotton – An estimated 93% is GM and engineered to produce Bt toxin. The seeds are pressed into cottonseed oil, which is a common ingredient in vegetable oil and margarine. Sugar. 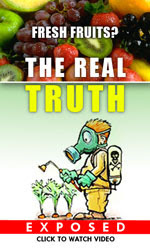 In 2012 the FDA approved GMO Beet Sugars to be allowed to be sold on the market under the name…. “SUGAR” So now, when we go to buy “All Natural” Breyer’s Ice Cream, we can’t even know for sure that we are actually eating regular natural cane sugar. If you see “CANE SUGAR” there’s a good chance it’s not GMO. This is one of the biggest frustrations with labelling, as sugar is in so many things, and we might be avoiding food that POSSIBLY has GMO sugar, but really does not. Papayas. An estimated 80% is GM. Approval and cultivation of GM papayas are expected in the near future in some Asian countries. In 2007, it is thought that 3500 ha. GM papayas were grown in China. Baked goods: Often has one or more of the common GM ingredients in them. Why do we need corn or soy in our bread, snacks or desserts? It’s hard to find mixes to use as well. Some brands avoid GMs, find one you like and try to stick with it. Organic is one option, learning how to cook brownies, etc, from scratch with your own organic oils is another. 2. Recognize Fruit and Vegetable Label Numbers. 3. If You Eat Beef, Purchase Beef That Is 100% Grass-Fed. Most cattle in the U.S. are grass-fed, but spend the last portion of their lives in feedlots where they may be given GM corn, the purpose of which is to increase intramuscular fat and marbling. If you’re looking to stay away from GMOs, make sure the cattle were 100% grass-fed or pasture-fed (sometimes referred to as grass-finished or pasture-finished). The same applies to meat from other herbivores such as sheep. With non-ruminants like pigs and poultry that cannot be 100% grass-fed, it’s better to look for meat that is 100% organic. Although more than half of all GM foods are produced in the US, most of it comes from large, industrial farms. By shopping at farmers’ markets, signing up for a subscription from a local Community Supported Agriculture (CSA) farm, or patronizing a local co-op, you may be able to avoid GM products and possibly save money at the same time. More and more small farms are offering grains and meat directly to customers, in addition to the usual fare (vegetables, fruit, herbs). 5. Buy Only Whole Foods (not referring to the store). Favor foods that you can cook and prepare yourself, rather than foods that are processed or prepared (e.g. anything that comes in a box or a bag, including fast food). Whole foods typically do not contain added ingredients, such as salt, carbohydrates, or fat. Examples of whole foods include beans, fruits and vegetables. The term is often confused with organic food, but whole foods are not necessarily organic, nor are organic foods necessarily whole. They key is to learn which whole foods are GM and which are not. What you lose in convenience, you may recover in money saved and satisfaction gained, as well as increased peace of mind. Try cooking a meal from scratch once or twice a week–you may enjoy it and decide to do it more often. This way you know exactly what was grown, and what went into growing it. Buy heirloom seeds still maintained by gardeners and farmers particularly in isolated or ethnic communities. Many heirloom vegetables have kept their traits through open pollination, while fruit varieties such as apples have been propagated over the centuries through grafts and cuttings. i) Beware of products that are specifically labeled as non-GM or GMO-free. There are many companies now hopping on the GMO-free bandwagon insisting that their foods are free of genetically modified organisms when they’re not. Earth Balance is a perfect example of a company deceiving consumers. You can also research websites that list companies and foods that do not use genetically modified foods, but be aware that information is often incomplete and conflicting interests may not be declared. There are many companies that are not telling the truth about their GMO-free status. The nonGMO project is another label to use at your own risk. Do not look at a company’s certifications… look at their ingredients first, and label second. ii) Beware of all Organic Certification institutions or foods labeled as organic. Although the US and Canadian governments do not allow manufacturers to label something certified organic if that food has been genetically modified or been fed genetically modified feed, most people are unaware that they are still permitted an certified organic label if they contain a mix of conventional and organic ingredients. Even 100% USDA organic label is not safe. You can look for their mark of approval on the label of the product. USDA Organic standards do not consider a product 100% organic if it is only USDA Organic Certified. Even QAI, Oregon Tilth and CCOF cannot be trusted as they still rely on import certificates which have been found to be fraudulent. In 2011, the USDA uncovered a plot to import fraudulent organic certificates produced by an uncertified supplier in China. The Chinese firm used the counterfeit certificate to represent non-organic crops, including soybeans, millet and buckwheat, as certified organic. Always investigate the sources of even the most reputable companies that insist on strict production standards and on-site inspections. You would be shocked what really goes on within some of these organizations. Always check your sources and don’t believe in any label blindly. Natasha Longo has a master’s degree in nutrition and is a certified fitness and nutritional counselor. She has consulted on public health policy andprocurement in Canada, Australia, Spain, Ireland, England and Germany.